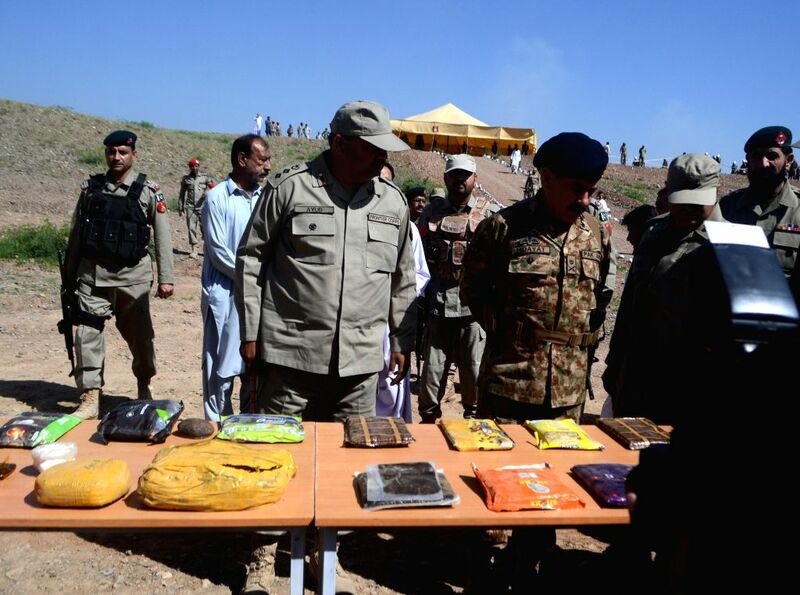 KHYBER AGENCY, April 23, 2015 - Pakistani anti-narcotics officials display seized drugs in northwest Pakistan's Khyber Agency on April 23, 2015. 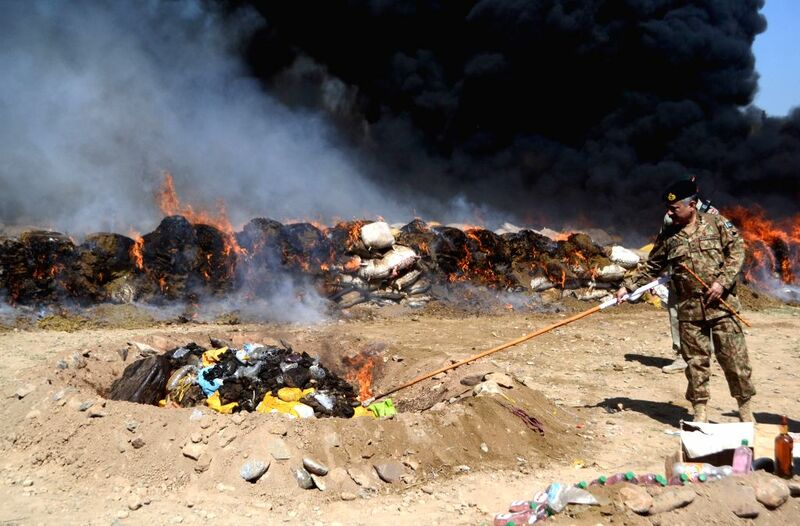 About 40,000 kg of drugs including heroin, hashish, opium and morphine were destroyed during the drug burning ceremony in Shakas area of Khyber Agency. A Pakistani soldier burns drugs during a ceremony in northwest Pakistan's Khyber Agency, on April 23, 2015.